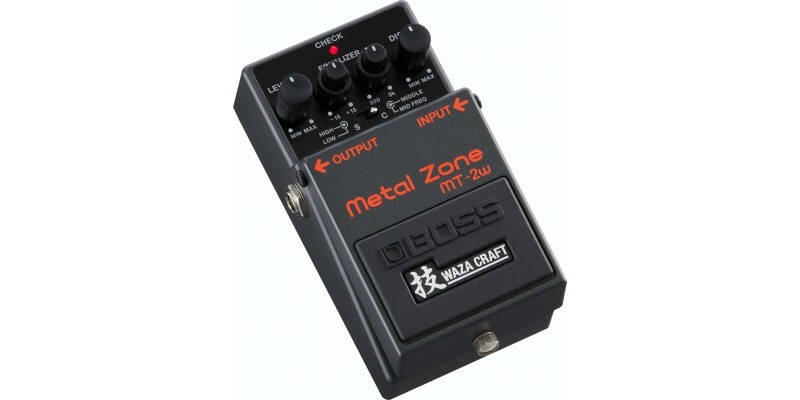 The Japanese-made BOSS MT-2W Waza Craft Metal Zone builds on the success of the venerable MT-2 Metal Zone pedal, offering improved MT-2 sound plus a new Custom Mode for increased dynamics and rounder lower mids. Now available from Merchant City Music, visit us in our Glasgow store, where one of our highly experienced staff members will be happy to talk you through the features and set you up for a demo. Alternatively, buy online for speedy delivery to the UK, Europe and beyond. 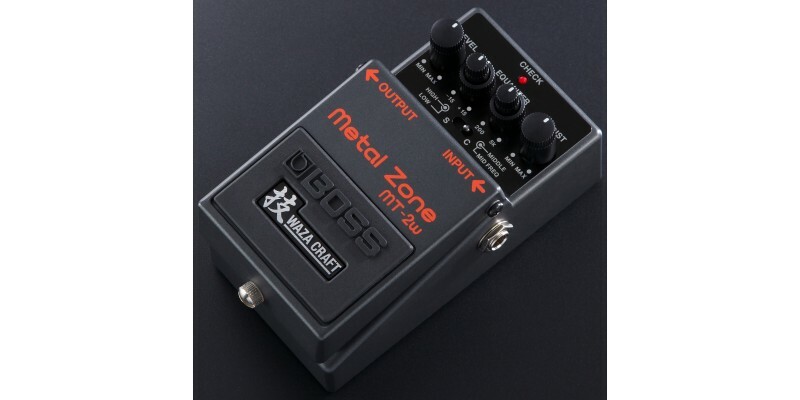 For over 25 years, the MT-2 Metal Zone has been one of the most popular and influential compact pedals in the BOSS lineup, with overall sales that are second only to the venerable DS-1 Distortion. Made in Japan and infused with Waza Craft mojo, the MT-2W takes the iconic stomp to new levels of tonal range and versatility. Standard mode delivers an evolved version of the original mid-focused Metal Zone tone, while Custom mode introduces a fresh, wide-ranging voice that’s perfectly suited for today’s diverse high-gain styles. First released in 1991 and in continuous production ever since, the MT-2 Metal Zone is loved by guitarists everywhere for its thick, rich distortion and distinctive mid-focused character. 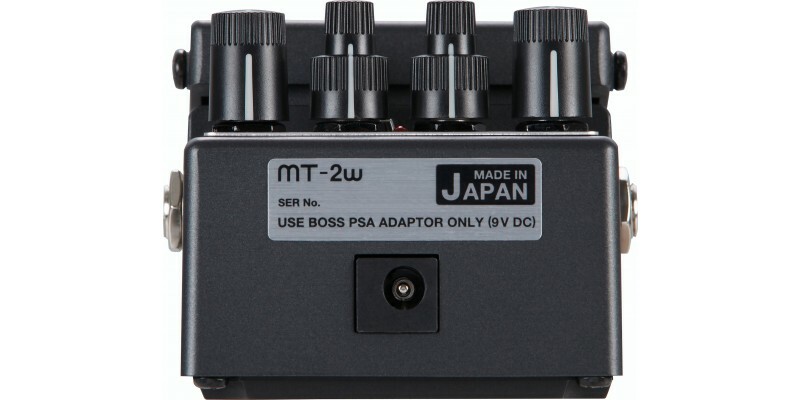 Capable of producing a versatile range of heavy tones, the MT-2’s innovative dual-stage gain circuit has influenced legions of pedal designers through the years. Another standout feature is its groundbreaking three-band EQ with parametric midrange, which provides deep sound-shaping ability for covering numerous high-gain styles. The pedal was also one of the first BOSS compacts with dual-concentric knobs, offering expanded control without increasing size. 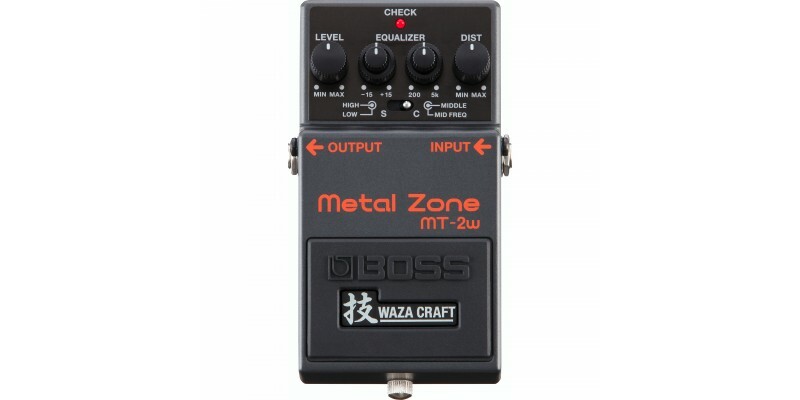 Like all Waza Craft pedals, the MT-2W infuses an original BOSS analog design with artful refinements for enhanced performance and versatility. The dual-stage gain circuit features a discrete design with carefully selected components, providing premium tones with increased clarity. The EQ has been refined as well, with a smoother midrange tone and unique Q values specially tuned for the pedal’s Standard and Custom modes. Supported by the discrete components in the MT-2W’s dual-stage gain circuit, Standard mode takes the Metal Zone’s famous mid-driven sound to the next level. The attack is even more responsive, and the definition and clarity has been enhanced as well. Noise has been reduced too, providing improved performance at ultra-high gain settings. Engaging the MT-2W’s Custom mode voices the pedal for a huge, wide-ranging sound, making it ideal for nearly any current heavy style. The tone is natural and open, with increased dynamics and rounder lower mids than Standard mode. Even at the highest gain settings, the low end remains full yet tight, focused, and well-defined, perfect for chugging out low-tuned riffs. The sound also cleans up very nicely when reducing your guitar’s volume, putting an extremely balanced range of tones under your fingers. Since the beginning, the engineers at BOSS have been committed to achieving the finest guitar tones using any technology necessary, from old-school analog circuits to high-tech DSP. This enthusiastic spirit continues on with the Waza Craft series, which brings you exceptional tone and touch response through carefully selected analog components, refined circuitry, and meticulous attention to detail. In Japan, “Waza” is the term for art and technique, and these special edition pedals proudly carry the Waza symbol to represent the pinnacle of BOSS design and craftsmanship. Expected battery life under continuous use: Alkaline - Approx. 18 hours, Carbon - Approx. 7 hours *These figures will vary depending on the actual conditions of use.